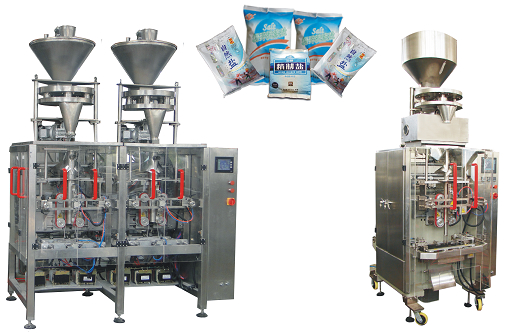 This unit consists of a metering cup metering machine and one 5000DS vertical packaging machine. It is suitable for metering and packaging of fine particle material especially salt. It integrates the functions of automatic metering, bag-making, filling, sealing, printing, the operating interface adopts advanced touch screen.